Material_ 40mm x 40mm machine finished hardwood slats w/ SHS sub frame. Recessed RGB strip lighting. 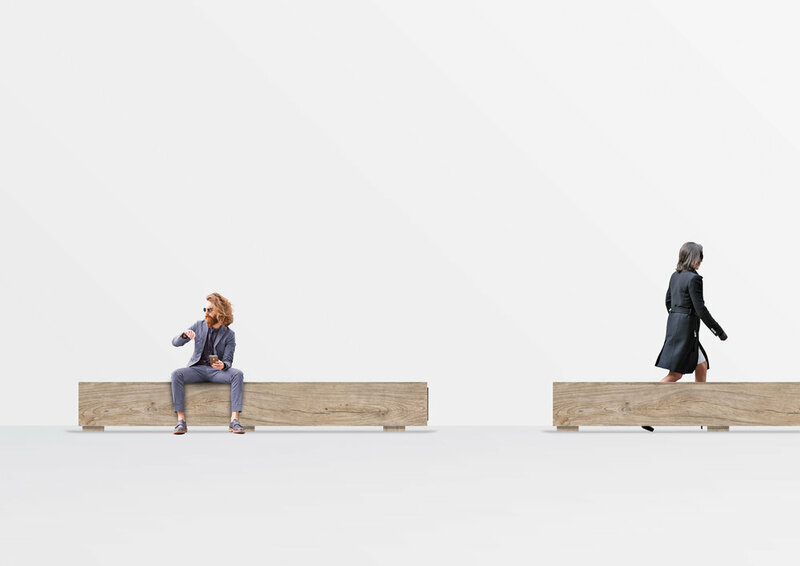 Design Intent_ The proposed Viaduct furniture suite introduces a range of new timber forms and materiality that reinforce waterfront identity, historical uses and support more social and flexible occupation of the promenade and associated spaces. 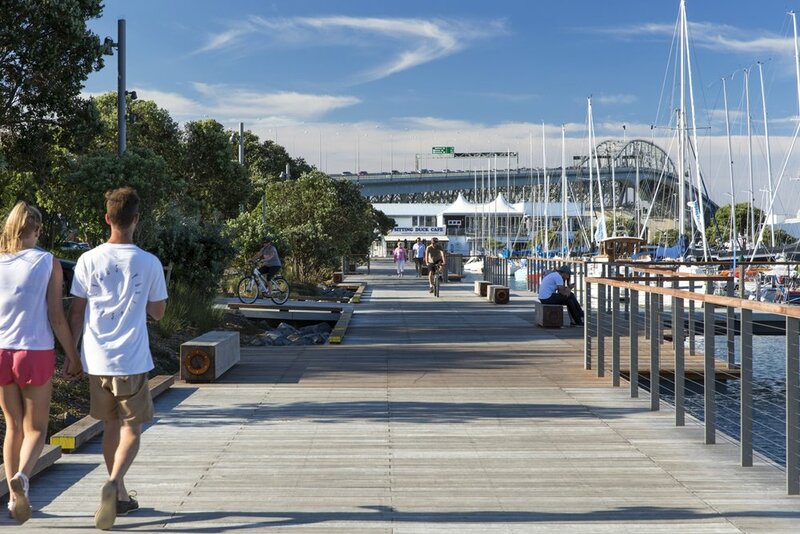 These elements are distributed along the existing promenade to provide episodic experience, engagement and to test new seating/occupation strategies. 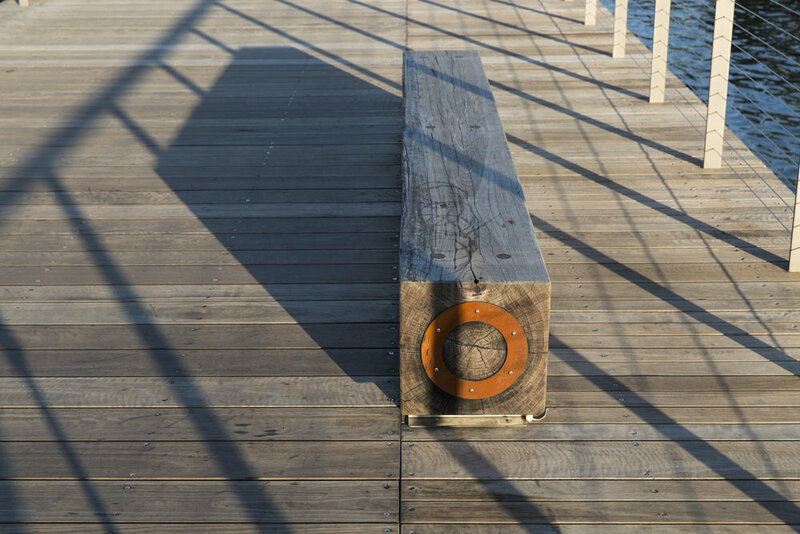 Material_ 8mm corten/weathering steel plate laser cut with steel support legs and a concealed LED strip lighting. 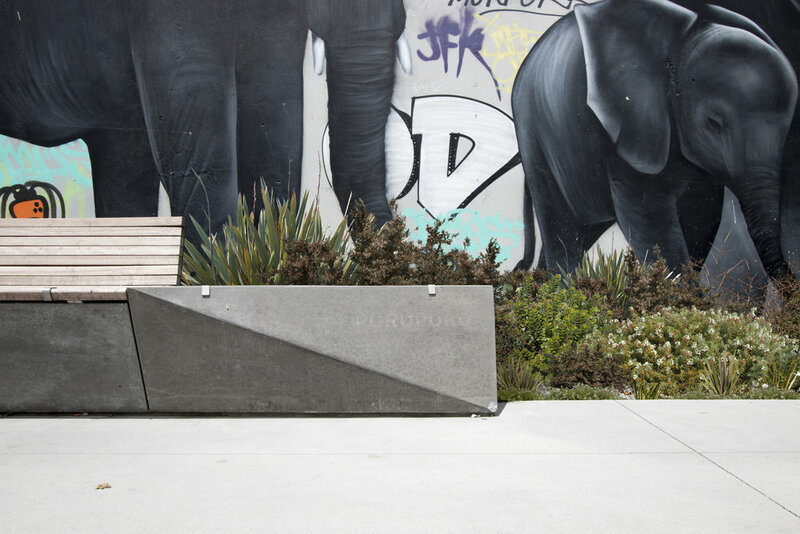 Design Intent_ A seating element which creates social seating opportunities while its materiality makes reference to the sites post-industrial history. 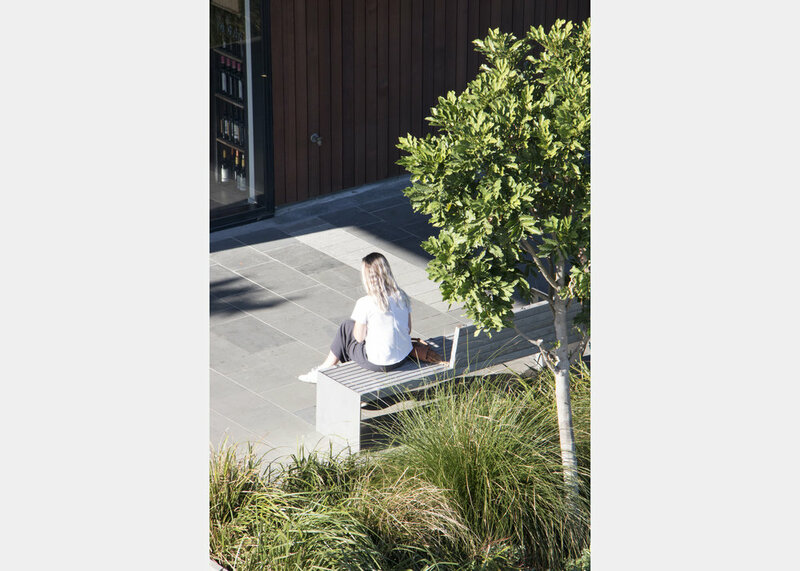 Design Intent_ With a bold sense of directionality, the Prism Bench offers a continuance of site wide historical references to Wellington’s 1840 shoreline. 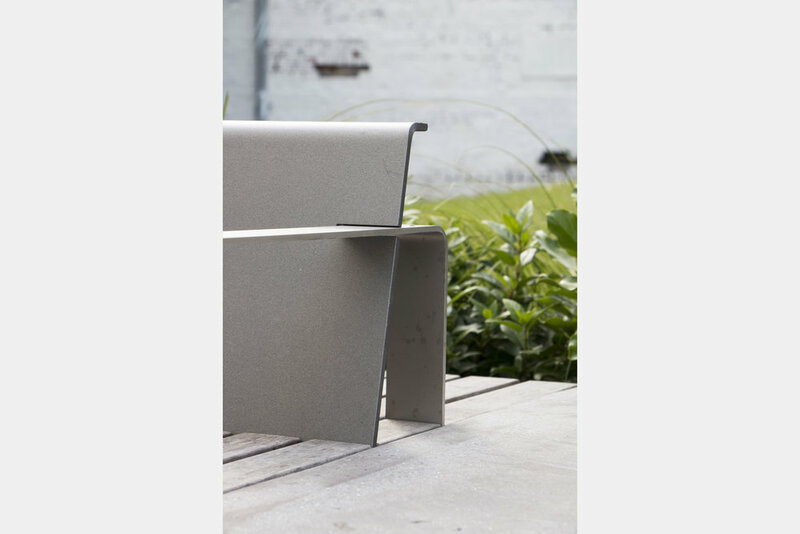 Material_ Precast natural concrete seat with a light sandblast finish, 50x50mm hardwood timber inlay fixed on a steel frame. 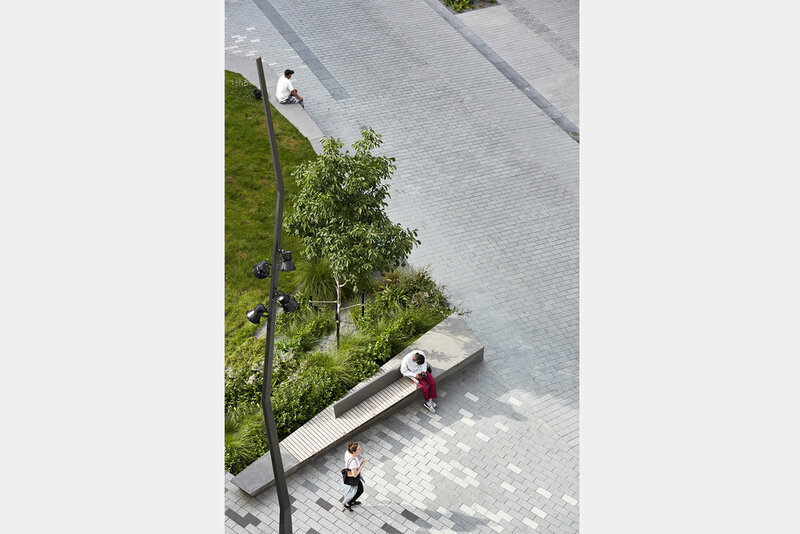 Design Intent_ A suite of linear seating elements arrange themselves to provide social seating opportunity along the South Frame Greenway. 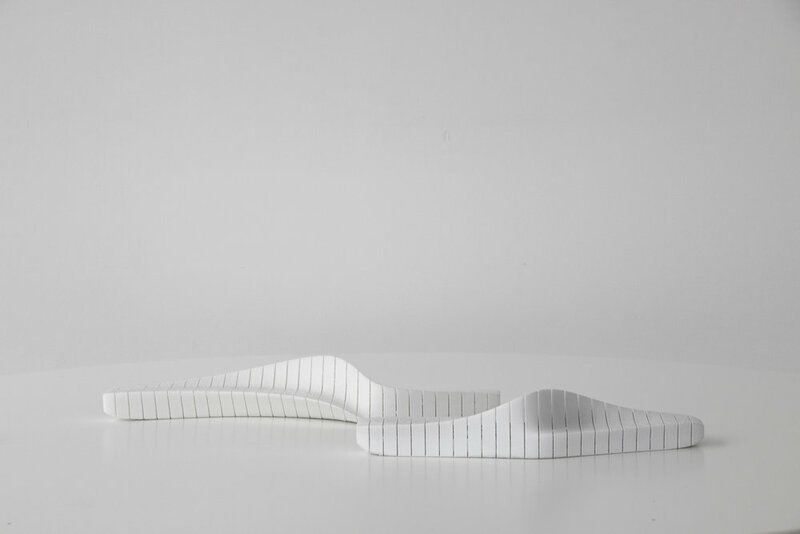 Design Intent_ Interaction of geological and topographical narratives, generative processes and ergonomic considerations were used create these dynamic sculptural forms. 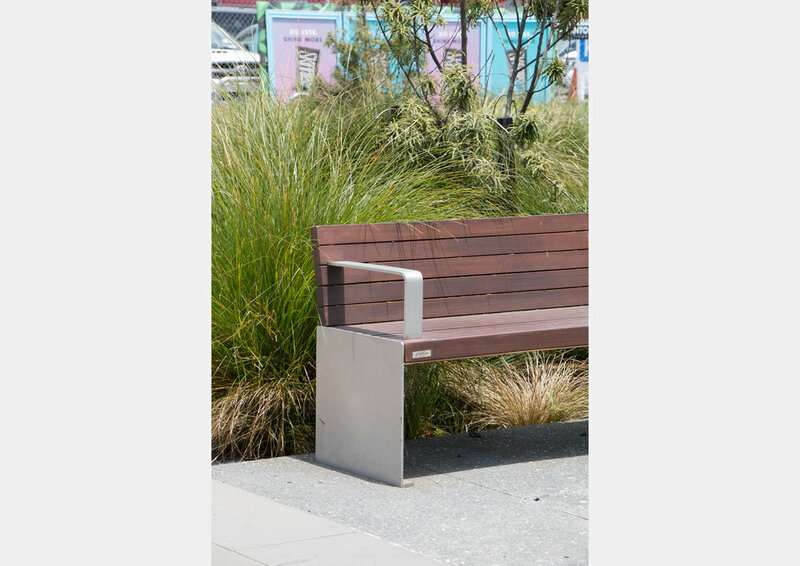 Design Intent_ A seamless extension of the boardwalk, this simple and robust seat provides integrated seating capacity at curated intervals. 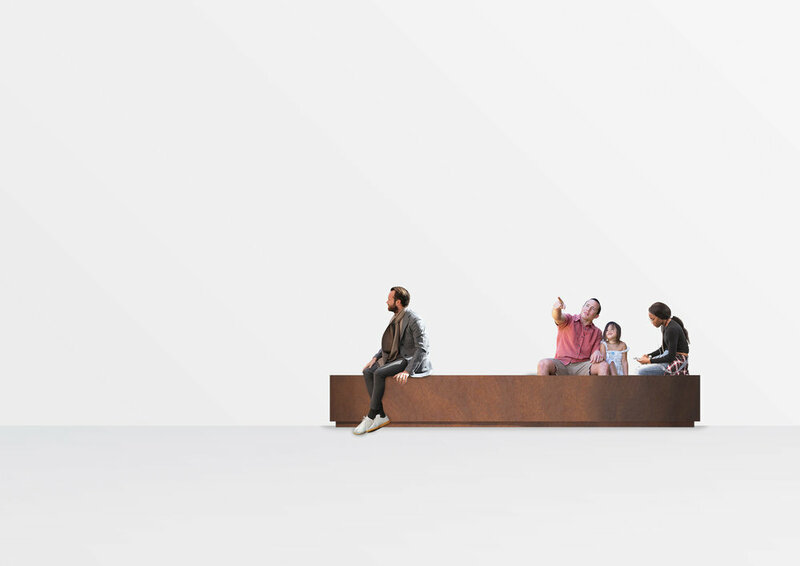 Design Process_ The Corten perchable reflects the industrial nature of the site. 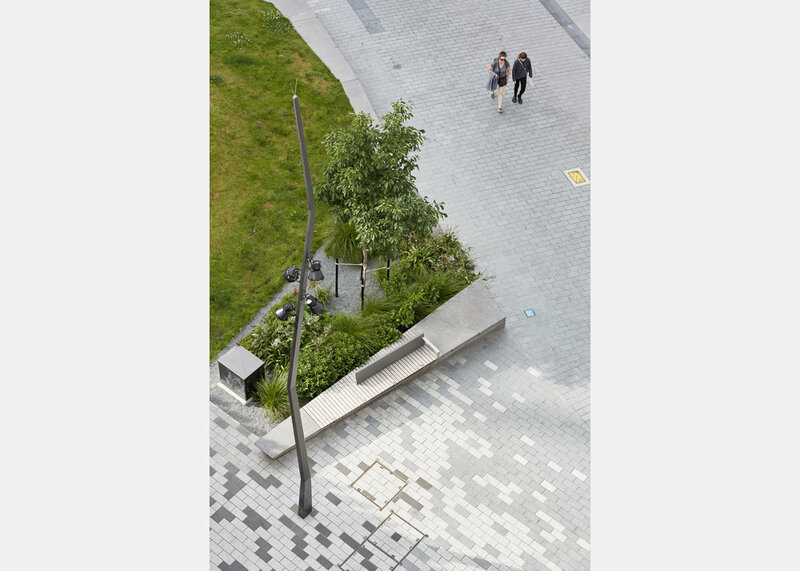 These components are all moveable enabling the street to adapt and respond to changing patterns of use, as a consequence of redevelopment, over time. 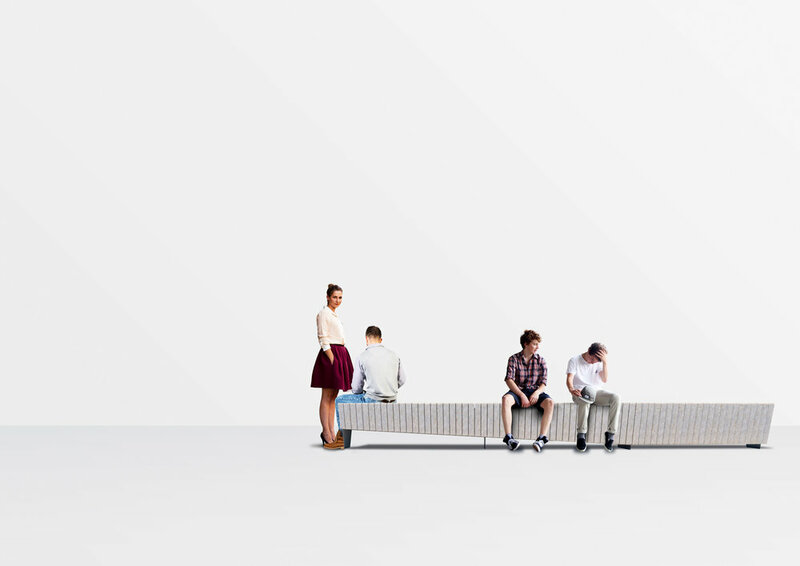 Design Process_ A modern interpretation of the park bench. 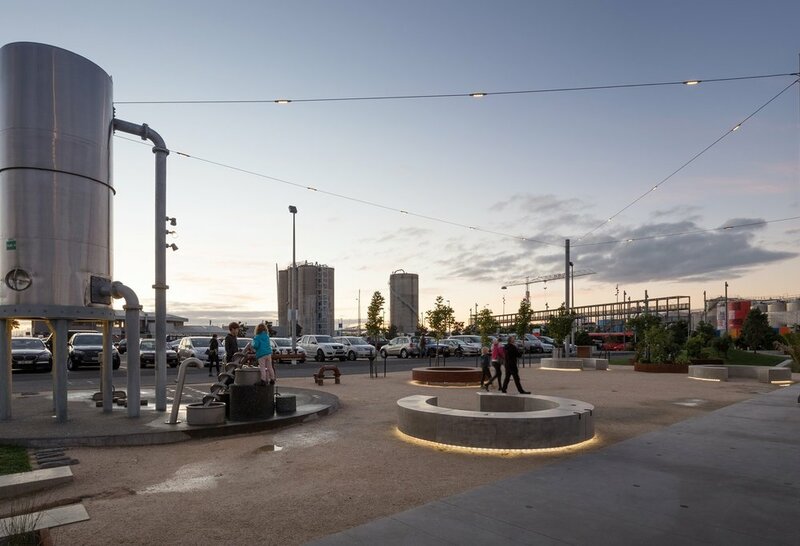 This suite offers formal + informal seating opportunity in street + waterfront environments..
Design Intent_ In Denton Park lighting has been aggregated into a single central bespoke pole. 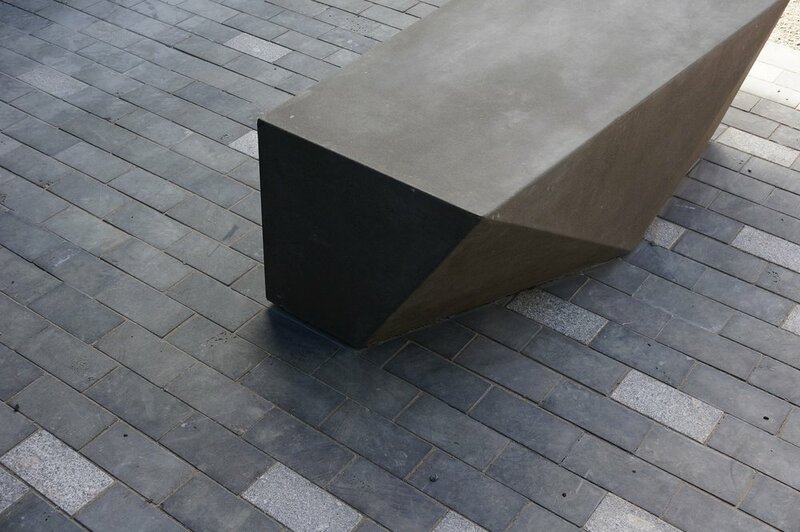 This reduces clutter, creates a beacon/landmark and reinforces this as a location of note within the city centre. 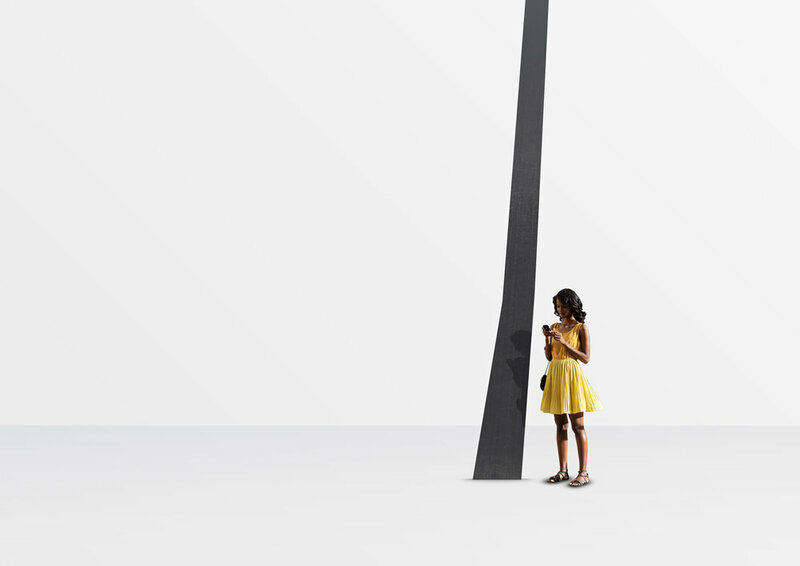 The forms are abstractly inspired by the ‘taurapa’ of waka and the hulls, masts and forms of vessels that previously graced the foreshore provides the focal point of this space.